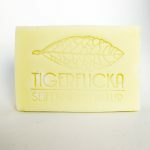 Tigerflicka makes soaps, balms and body oils from vegetable, bio-organic oils, butters and waxes. The different products rely on the nurturing and healing properties of high quality, bio-organic ingredients where oils, waxes and extracts have been selected based on scientifically documented effects. Baby products are strictly bio-organic, with no, or limited additions of plant extracts. The products are always 100% free from mineral oil, paraffin, preservatives, parabenes, synthetic colors and fragrances! 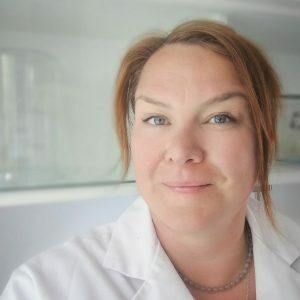 Tigerflicka of Sweden was founded in 2013 by Dr. Cecilia George, M.Sc. (Bio-organic chemistry), Ph.D. (Bio-analytical chemistry). Cecilia comes from Sweden, but lives in Munich with her two children. Products are developed based on scientifically documented properties of natural oils, waxes and plant extracts. The company philosophy is to develop and provide safe skin products for babies, children, women, men and our four-legged friends.